Relaxed riverfront coffeehouse offering specialty coffees, espressos, drinks, pastries, and paninis. Daily 7 – 5. 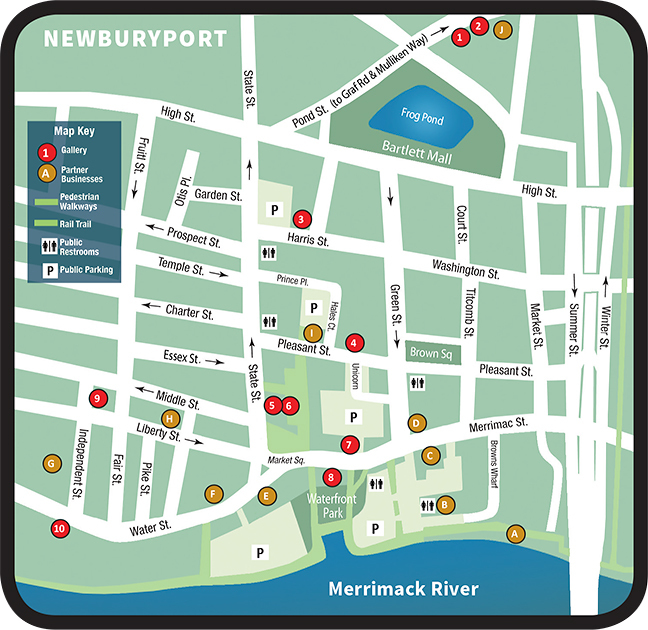 Visit the Chamber to pick up guides, maps, and advice on all there is to see and do in Newburyport. Meet Sundance Catalog jewelry designer and see her handcrafted jewelry. To discuss local real estate please contact, me for outstanding personalized service. Learn more about the towns we work in, including listings, hotspots, community events and more! Organic fair trade coffee, delicious fresh baked pastries. sweet breads and cookies. Relaxing seating. Sun-Thur 7-5pm, Fri-Sat 7-6pm. A local flower shop with a twist - flowers, plants and gifts and so much! Specialty coffeehouse, breakfast sandwiches, sweet & savory crepes, decadent desserts. Beer & wine. Live music Fri & Sat eves. Sun-Thur 8-8, ‘till 10 Fri & Sat. Strem is proud to be a long-standing supporter of the local arts community. We value the relationship between the Arts and Sciences; for one cannot exist without the other. With this understanding, we have integrated art into our everyday business. We have hosted art competitions asking artists to create their interpretation of ‘Art Meets Science’. The winner’s artwork was featured on our catalog covers and the original artwork has been added to the offices’ ever-growing collection. We continue to promote this strong relationship in our catalog as well, which highlights a local artist’s representation of the chemical elements.